Tarpon Springs Florida Fishing Charters. Inshore fishing guide for tarpon,redfish,snook,cobia,seatrout fishing. 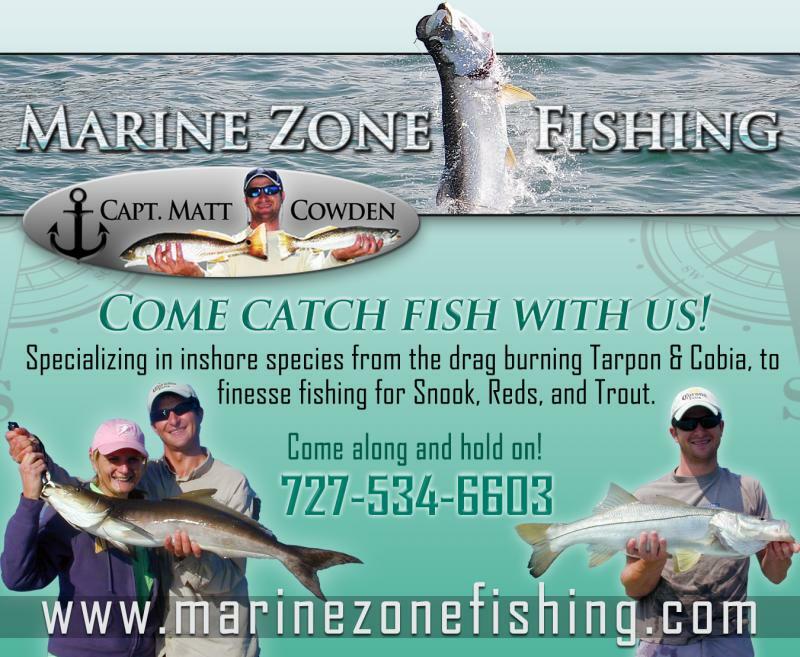 Capt Matt Cowden grew up fishing Tarpon Springs Florida area waters. Book a trip, Capt. Matt will share his knowledge and love of fishing in these waters with you. of the greatest fishing in the world. You never know what's going to be on the end of your line. Fish of a life time are out there waiting to be caught. Come along and hold on!